Callinex Announces Preliminary Results from Ongoing Induced Polarization Survey at Nash Creek - Callinex Mines Inc.
Vancouver, British Columbia – October 1, 2018 – Callinex Mines Inc. (the “Company” or “Callinex”) (TSXV: CNX) (OTCQX: CLLXF) is pleased to announce preliminary results from its ongoing district-scale induced polarization (“IP”) survey at the Company’s 100% owned Nash Creek Zinc Project (the “Project”) located in the Bathurst Mining District of New Brunswick, Canada (See Figures 1 and 2). 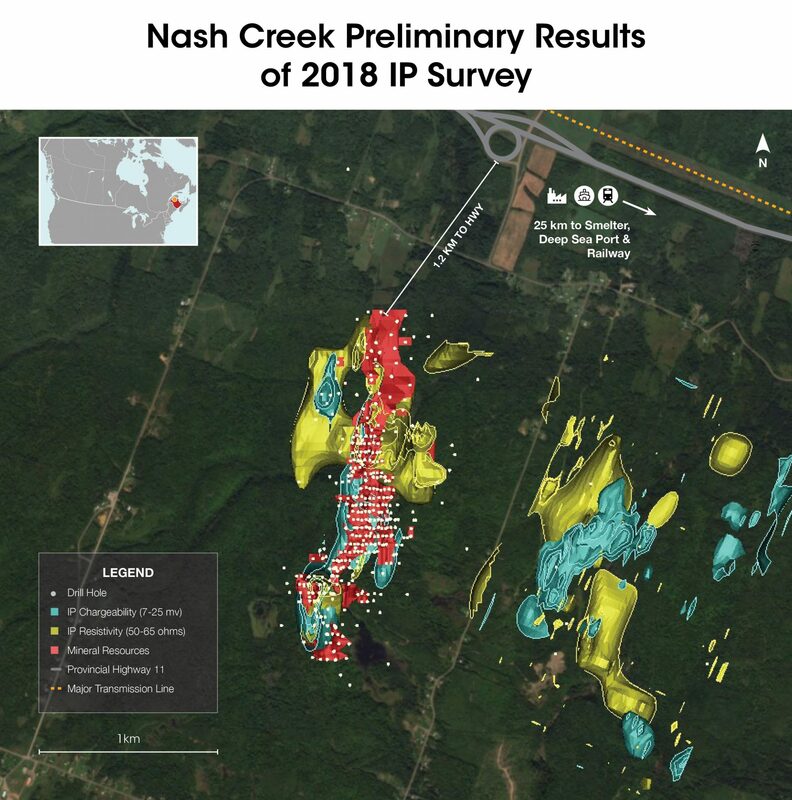 The IP survey commenced at the northern grid located approximately 1 km east of the Nash Creek Deposit (See News Release dated September 5, 2018). Preliminary results have identified a significant target area that spans approximately 1900m by 400m and appears associated with a synclinal repetition of the Nash Creek Deposit (See Figure 3). 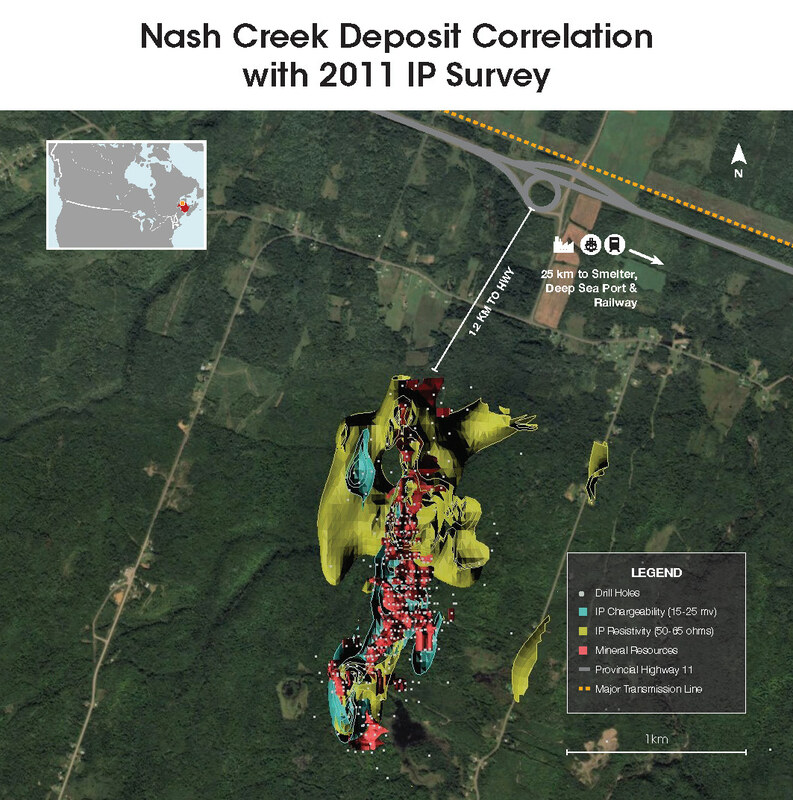 The footprint of this target area compares favorably to the IP signature associated with the Nash Creek Deposit. 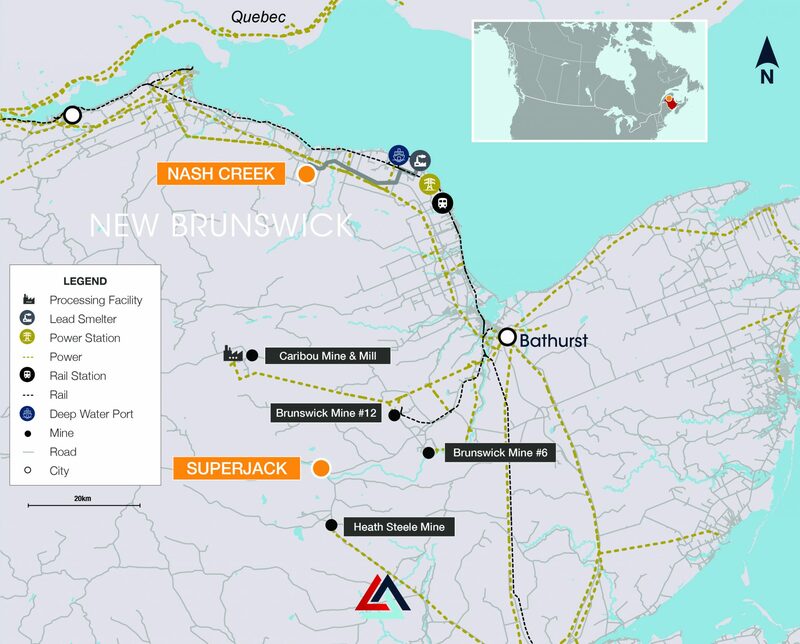 Callinex completed two holes to evaluate the conductive responses modelled in the target area and both holes intersected various amounts of sulphide mineralization that has potential to host zinc and lead mineralization. The intersected depth of the sulphide mineralization correlates well with the modelled chargeability and samples have been sent to the lab for analytical testing. 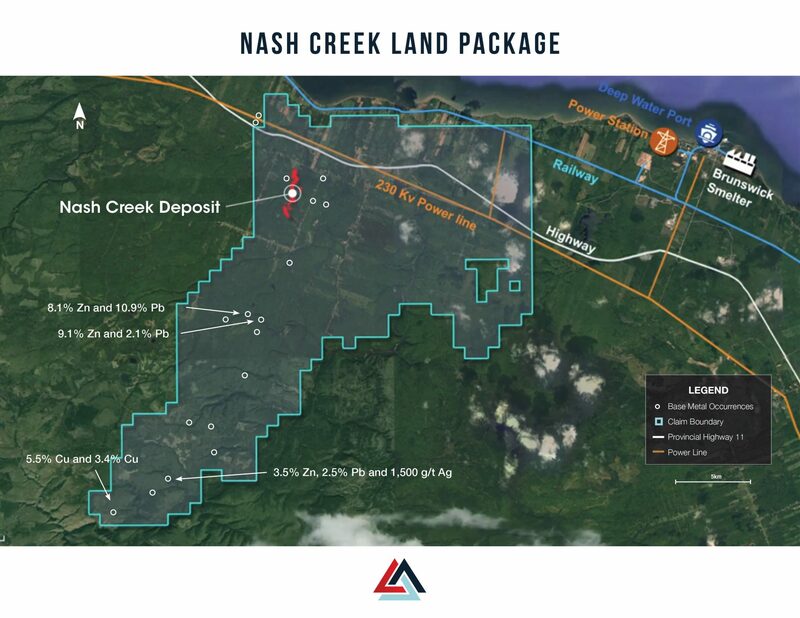 The Company anticipates that this target area will be thoroughly drill tested in the next drill program after the larger IP survey has been completed. Targets generated from previous IP surveys over the Nash Creek Deposit have shown a very high correlation to the current mineral resources (See Figure 4 and Table 1). The Company has also completed its ongoing drill program which consisted of 23 holes totaling approximately 4,750m. It is planned that significant drilling will occur to follow up on IP targets associated with this survey in the spring of 2019.